Join us for another gathering of colleagues from across the state to network, learn, and celebrate our hard work. We’re meeting at the Riverside Convention Center. Located in downtown Riverside, it’s only steps away from shops and restaurants. Registration and abstract submissions open in spring. Keep checking this page for updates. Thank you to the nearly 450 land managers, researchers, and conservationists that joined us for the 27th annual Cal-IPC Symposium in Monterey! Stewarding biological diversity is inherent in Cal-IPC’s mission. Protecting cultural and intellectual diversity is important to our success as well. The 2018 Cal-IPC Symposium explored the ways our work spans these areas, with the theme “BioDiversity: Expanding Our Vision.” View presentations from 2018. A great opportunity to network, learn, and celebrate! Mark your calendars for the Cal-IPC 2019 Symposium in Riverside, Oct 15-18. Registration will open in spring. 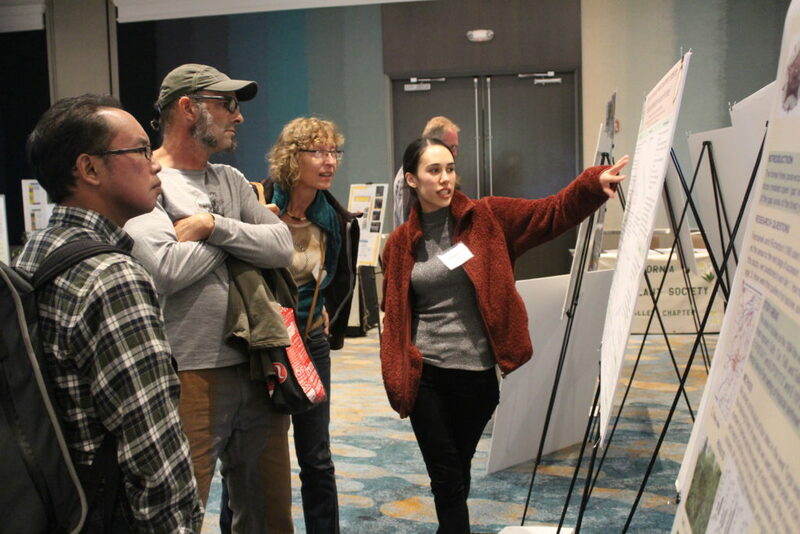 Symposium sponsors connect to California’s natural resource management community. Sponsors receive recognition throughout the event, including a dedicated exhibit and poster session to engage with attendees. Thank you to the 2018 sponsors who made our event a success! The Call for Abstracts will open April 22. We look forward to sharing your work with California stewardship colleagues. We have arranged for room blocks at two hotels in Riverside. There are a limited number of rooms available at the elegant Mission Inn Hotel and Spa, a national historic landmark. Built in 1876 in the grand style of a Spanish Mission, the hotel rooms have unique architectural pieces such as fireplaces, window seats, built in cabinets, and small reading nooks. Additional rooms are available for a group rate at the Hyatt Place. Both hotels are only a block away from the Riverside Convention Center. Codes and information on how to reserve at the group rate will be added to our website soon. View award winners from previous Symposia and celebrate their success. There were great items up for grabs at the silent auction & raffle in 2018! Thanks to the generosity of our attendees, we raised $13,000 for the Cal-IPC general fund. We look forward to another lively event in 2019. The Annual Photo Contest is a great way to share your field work, and helps Cal-IPC tell the story of invasive plants and weed management. Keep taking pictures – maybe you’ll win next year! Looking for more content? See our Symposia Archive for presentations and proceedings for previous Symposia back to 1995.